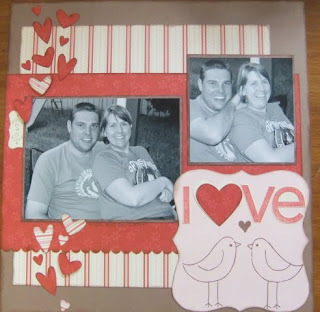 The Just Add Ink Challenge this week is to use hearts and I have certainly done that with this page lol. My mum snapped these pics of hubby and I at my brother's New Years Eve bbq. I love how casual and happy we look together. I am really loving my heart punches at the moment. Actually I love all my punches. This is such a gorgeous scrapbooking page. The best photos are the 'relaxed' ones aren't they? Love the little 24/7 down the side!! What a great page. 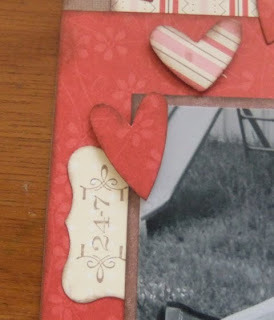 Love how you've used the DSP for your punched hearts. A fellow punch-a-holic! I love my punches and I especially love the Heart to Heart one at the moment. You've done a gorgeous layout using it. So sweet! Thanks for playing! DSP stands for Designer Series Paper. Too sweet! Great take on the challenge. Thanks for playing @ Just Add Ink! I really like your layout. The Heart to Heart punch is one of my favs as well. I'm such a punch junkie.